Hello Long Weekend! 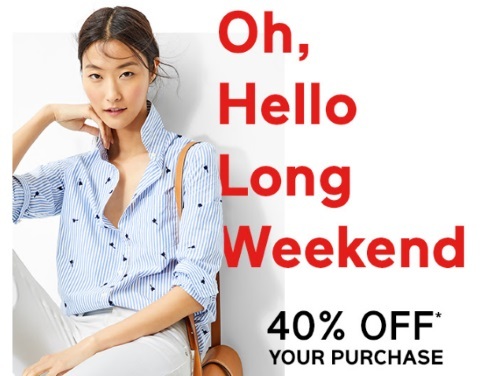 Gap is offering 40% off your purchase today in-store and online! Enter the promo code GAPPARTY at checkout. Offer is valid May 21, 2017 only.